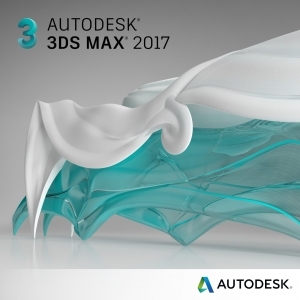 3DS MAX versione 2017 non è stato ancora ufficialmente rilasciato, sul web però si trovano numerose anticipazioni. Create more precise textures using the new Dual Quaternion skin modifier, which lets you paint the amount of influence skinning will have on a surface, so you can use it where you need it, and taper off to linear skin weighting where you don’t. Simulate real-life camera settings, such as Shutter Speed, Aperture, Depth of Field, and Exposureusing the new Physical Camera co-developed with Chaos Group, the makers of V-Ray, creating more photo-realistic images and animations more easily with enhanced controls and additional in-viewport feedback. Create complex topology with more consistent appearances in less time using the crease modelling workflows in CreaseSet modifier and Crease Explorer. Using FBX® asset exchange technology, they allow for easier transfer of models to and from certain other packages that support OpenSubdiv. Extend 3ds Max® with new geometric objects and modifiers by creating graphs in a visual environment similar to the Slate material editor. Max Creation Graph, a new node-based tool creation environment, lets you create new node types by saving graphs called compounds, or choose from several hundred different node types (operators) that can be connected together to create new tools and visual effects. New tools can be packaged and shared with other users. Represent subdivision surfaces in 3ds Max using the OpenSubdiv libraries open-sourced by Pixar.Experience faster in-viewport performance for meshes with high subdivision levels with libraries that incorporate technology from Microsoft Research, and are designed to help take advantage of both parallel CPU and GPU architectures. Collaborate easier across teams and throughout the production pipeline with new support for non-destructive animation workflows in XRef, and improved stability. Externally reference objects to your scene, and animate them or edit material on the XRef object in the source file, without having to merge the objects into the scene. Changes made in the source file will be inherited in your local scene. Publish and organise animatable parameters on your desired node, making it easier for other users to externally reference content to populate their scenes. Experience improved speed and quality while you edit or pose models with OpenSubdiv features, including support for adaptive subdivision in the viewports, and at render time. Reduce undesirable deformation artifacts more easily using Dual Quaternion Skinning. This new method of smooth skinning is built specifically to avoid “bow tie” or “candy wrapper” effects, most common in a character’s shoulders or wrists, where the mesh loses volume when deformers are twisted or pivoted. Help reduce rendering time and costs by rendering projects online in the cloud. Autodesk® A360 Rendering Support helps you create impressive high-resolution images without having to tie up the desktop, or requiring specialised rendering hardware. Available to customers on Maintenance and Desktop Subscription, A360 also helps you create and share solar study renderings, interactive panoramas, illuminance simulations, and re-render images from previously uploaded files. Accelerate the scene creation process with new on-demand templates that provide standardised start-up configurations. Easily import, export, and share templates across teams, and create or modify existing ones to tailor them to your workflow.